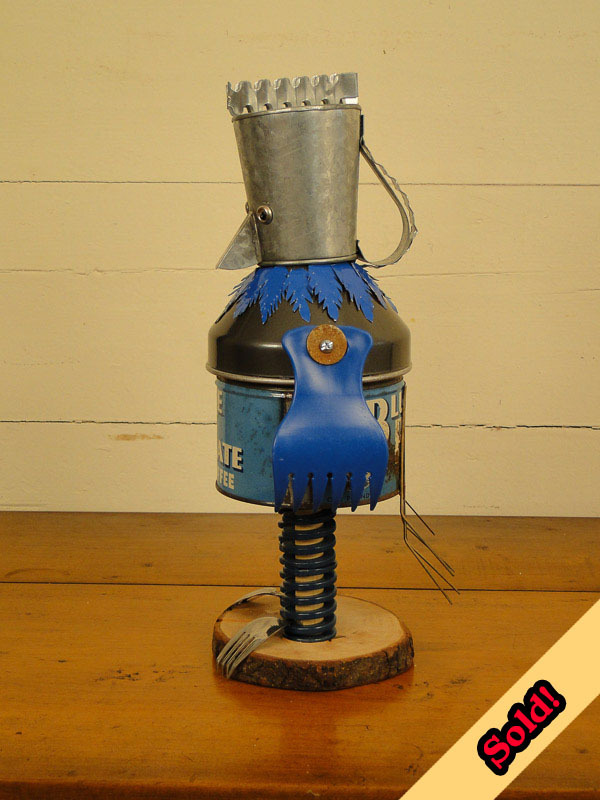 I found this blue coffee can and the blue salad server things and thought it looked like a bird. 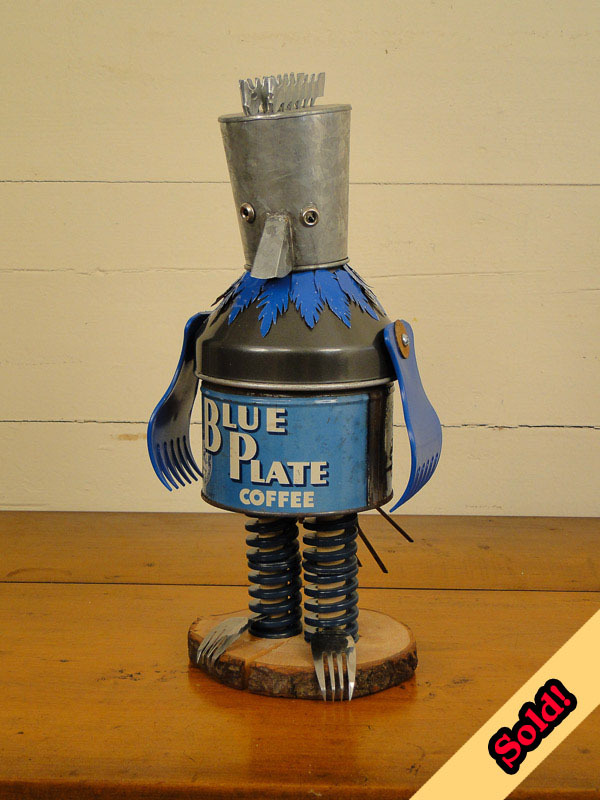 I especially like his upside down coffee pot head with his goofy crest. His tail is part of an old rake.